Two years of re-development later and the Wolds is now a shining example of a park planned with the customer very much in mind. 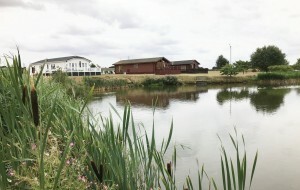 At the centre of the park, a three-acre carp fishing lake is a popular attraction and there is a minibus service to Caistor (one of the conditions of the planning permission) for residents. “We have a large site here but have deliberately chosen not to cram in as many homes as possible,” says Bill. “We have permission for 60 homes but the land could easily take 100 or more. We wanted to retain a feeling of space and privacy. On a lot of parks the homes are laid out in rows, which feels like an army camp! Our plots are twice the size of those at most other parks and dotted around the parkland in a freeform and natural way.” Out of the 60 homes, 25 are already inhabited, and the remaining 35 pitches are available for sale, including five show homes. “We are very lucky to have a steady stream of enquiries,” says Bill, “but the attractiveness of the park really sells itself. Each home has a block-paved driveway for two cars and many have sheds, decking and even garages. Visitors to the park are always surprised at the size of the properties saying they are larger and better equipped than their traditional brick-built bungalows. All homes on site are also set up for mains utilities, which puts the control back into the resident’s hands and helps keep their expenditure low. This way is more economical for the home owner and the park owner too.” Having pre-booked slots with the major manufacturers is a key selling point, which expedites the process for buyer and seller. “There can be as much as a year long wait on many parks,” explains Bill, “but we have moved a cash buyer in as little as six weeks from home order before now. On average, from point of deposit to moving in date is two to three months for most of our residents.” Greens’ second park is Pine Hill, situated in a pretty location in open countryside between St Ives and Huntingdon in Cambridgeshire. This site has been in the Green family for 50 years, originally being used for temporary accommodation for Council tenants. 15 years ago, Bill and his four sons, who all work in the family business, set upon a complete renovation of the park including new roadways, the provision of mains utilities, and major landscaping. Pine Hill now boasts 48 residential park homes; all are occupied and are quickly snapped up on the rare occasion that one is up for sale. 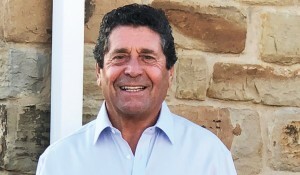 Greens Park Homes is currently in negotiations to purchase a third park in the East Anglian area and Bill says that they are always looking for interesting opportunities to either invest in existing parks, or land that is ripe for housing development. Like most Park Operators, Bill expresses some frustration with the limitations of the current planning framework and legislation. “The parks industry is steadily being cleaned up and rogue operators are thankfully few and far between nowadays,” says Bill, “but the negative profile of parks in the public eye still needs some work.” “Sadly, it’s a lot easier to get permission to develop holiday parks with many unwitting customers buying ‘holiday homes’, mistakenly thinking that they can live in them all year round. Making it more difficult to open residential parks, means not only a shortage of homes for the 50+, but prevents the mainstream housing market freeing up larger ‘brick and mortar homes’ for families and younger people. Things are moving forwards, slowly, but there is still a long way to go,” adds Bill.